SeaWorld is clearly worried about the movie Blackfish, which opens in New York and Los Angeles this weekend, and across the country over the next month. The hugely profitable company has just written to movie critics all over the country in an attempt to stem the tide of rave reviews and the accompanying scathing indictments of the marine circus business. 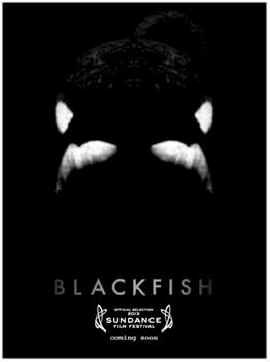 The film offers a devastating view of SeaWorld – and by extension all the other marine circuses – in what is a riveting investigation of the death of trainer Dawn Brancheau at the hand, or rather mouth, of Tilikum, the depressed, angry, probably-psychotic killer whale, who finally turned on her, dragged her under the water, and literally tore her apart. Check out the 911 call to the Sheriff's Office in the trailer as the horror unfolds: "We need 'S.O.' to respond for a dead person at SeaWorld," the caller says. "A whale has eaten one of the trainers." SeaWorld likes to claim that Brancheau, one of their top trainers, made a "mistake" in letting her pony tail get too near Tilikum as she played with him at the side of the pool, dropping fish in his mouth as diners ate their own fish behind a heavy glass window. But Tilikum wasn't playing with her or her pony tail. Nor was he playing with other trainers and officials when they were trying to pry his mouth open to recover the arm he'd torn off. This was one angry orca who had finally snapped. But nobody disputes that SeaWorld stopped capturing these orcas from their mothers in the ocean back in the 1970s when public opinion turned against them. Even so, we know that they'd love to start capturing whales again. (Right now they're working with the Georgia Aquarium to import beluga whales from Russian waters.) And Tilikum, of course, most certainly was taken from the wild at age 2, and was then shipped like a hot potato from one sea circus to the next. Dawn Brancheau was the third human he'd been involved in killing. At the Seattle Post Intelligencer, Candace Calloway Whiting, dismantles many more of these straw-man arguments, point for point. She also notes that while SeaWorld claims that orcas in captivity lives as long as orcas in the wild, they don't. And, ironically, the only one SeaWorld can cite who's into her 40s is Corky, who was taken from the wild in Canadian waters. I have never heard of a seriously injurious fight between killer whales in the ocean. But in captivity, I reported on incidents which, to my mind, amount to “bullying” and aggression that goes well beyond simple skin-raking. He offers major examples of orcas ramming, slashing and otherwise attacking each other in the confines of the tiny pools where they're forced to live together and perform for the crowds together. In the open sea, if an orca does not want to be raked, rammed or bitten, the animal has an infinite variety of escape routes, in all three dimensions. Not so at SeaWorld, where they can be and sometimes are repeatedly attacked and harassed by more dominant whales, usually females. Orcas in the wild have very strong social and family bonds. (Males stay close to their mother for as long as she lives.) In contrast, we see SeaWorld breaking up families and shuttling individual orcas back and forth between their locations. They even trade orcas with other marine circuses. SeaWorld insists that "it moves killer whales only when doing so is in the interest of their long-term health and welfare." But Kirby challenges SeaWorld to explain, for example, what the health reason could possibly have been for shipping so many orcas to a partner sea circus in Spain. As for separating families, it is endemic at SeaWorld, as whales are flown around the country, and overseas, like UPS packages. Kirby writes about Kohana, who was taken from her mother in SeaWorld San Diego and sent to Orlando ... and then to Spain; Skyla, who was born at SeaWorld Orlando, and taken from her parents (one of whom was Tilikum) at age two ... and sent to Spain; Tekoa, who was shipped to San Antonio ... before being flown off to Spain; and Keto. born in Orlando, flown to San Diego at age 3, then to San Antonio at age 4 ... before being flown to Spain five years later. Blackfish isn't one of those sad, slow-moving films that document a long and numbing litany of abuse. It's more like a thriller, with the proverbial villain of the piece using all its corporate muscle and money to distract, confuse and intimidate people from seeking the truth about how it exploits one of nature's great icons of the ocean for its own profit and greed. We're left wondering how it is that this and so many other sea circuses still manage to draw crowds to their shows. Has so little really changed since the days of bread and circuses at the Roman Empire's Coliseum?